Most preschoolers do not even know how to tie their own shoelaces – let alone what to do in a life-threatening emergency. 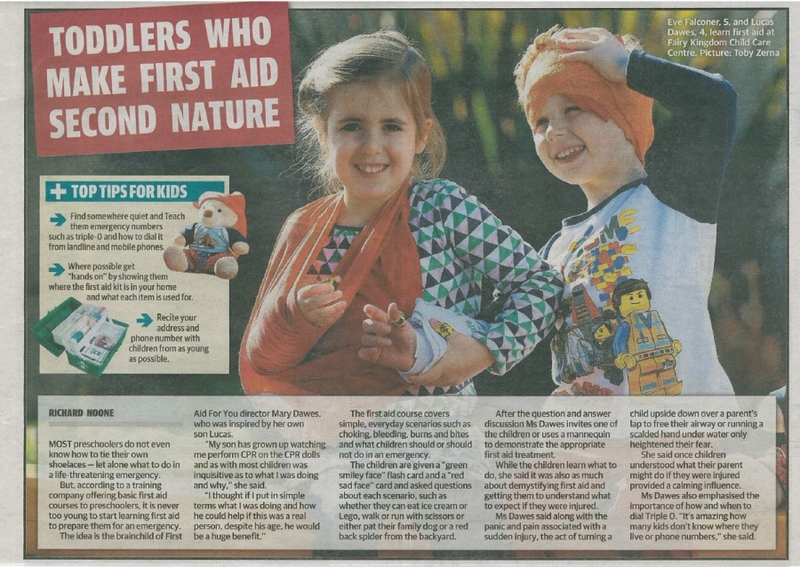 But, according to a training company offering basic first aid courses to preschoolers, it is never too young to start learning first aid to prepare them for an emergency. The idea is the brainchild of First Aid For You director Mary Dawes, who was inspired by her own son Lucas.